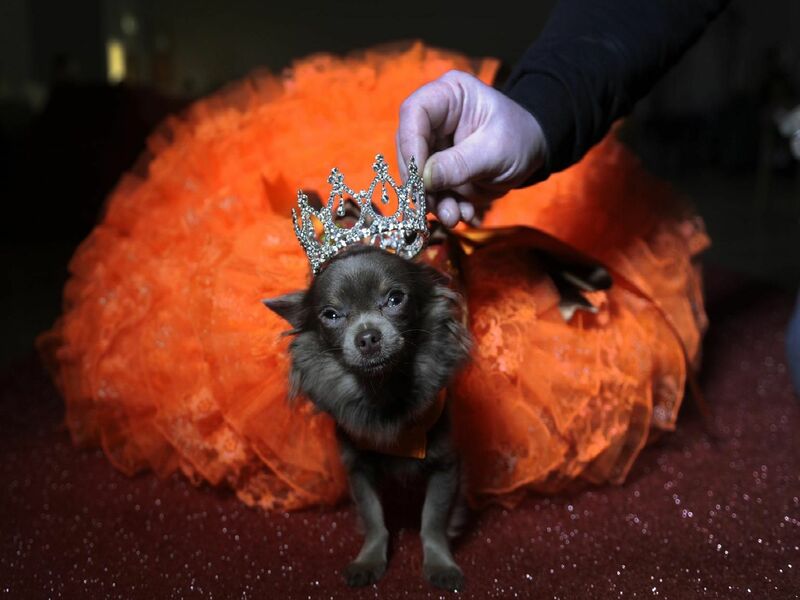 PRIZED pooches have been strutting their stuff at a dog pageant. The dog pageant - thought to be the first of its kind in the north of England - was held at Wetherby Social Club today (Sun March 24). Dog-lover, June Hodgkins organised the show, which was open to all dogs, of all shapes, sizes and breeds. All proceeds are for Kent based charity, All Dogs Rescue and Knine and Kitty Care, Bradford. Mrs Hodgkins, who herself has two Pugs and two chihuahuas, has shown dogs over the years and says she always wanted to put on a show that was fun and not quite as serious.